We will perform a complete energy inspection of your home to help determine the cause of any issues you may be experiencing, and recommend clear steps you can take to fix them and reduce your energy bills. The audit is an assessment of every facet of your home's energy use. 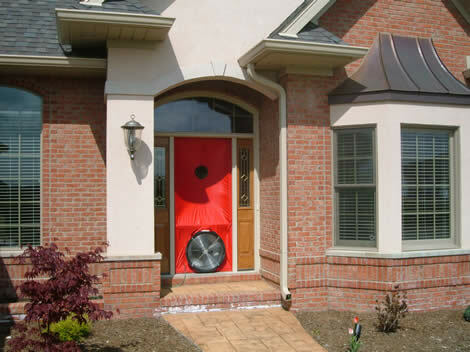 We start off by pressurizing your house, and locating all those cold drafts and the air leaks that cause them. 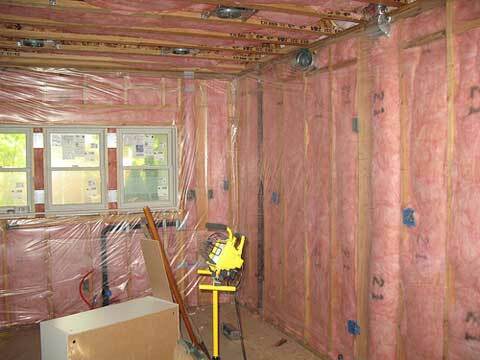 We then move on to evaluating your existing insulation In addition to evaluating your appliances, lighting, and anything that uses energy or contributes to overall efficiency. Following the inspection, we will report on the correction of any comfort and performance problems you are having in addition to recommending improvements as part of our report. These may include measures such as: air-sealing and duct-sealing, adding insulation, installation of energy-efficient lighting, adding ventilation and if needed, upgraded HVAC equipment or windows. The best solution for most homes often includes a combination of different types of improvements. Often, most cost-effective improvements are not windows or HVAC systems. Installation of any suggested improvements can often result in immediate savings on your energy bill. The most common hidden problem in a existing home is air duct leakage. Sealing duct leakage has an average winter heating savings of 32% in heat pump homes and 19% in gas heated homes. 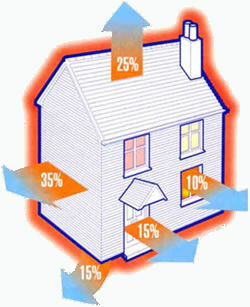 Save up to 20% of heating and cooling costs by air sealing your home and adding needed insulation. A programmable thermostat can save you about $180 every year in energy costs. switching to ENERGY STAR qualified CFL lighting. Essential Inspections uses a variety of techniques and equipment to determine the energy efficiency of a structure. Thorough audits often use equipment such as blower doors, which measure the extent of leaks in the building envelope. Duct blasters, which measures the extent of air duck leakage, and infrared cameras, which reveal hard-to-detect areas of air infiltration and missing insulation. 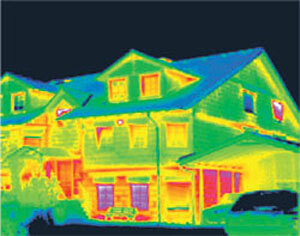 Professional energy audits generally go into great detail. We do a room-by-room examination of the residence, as well as a thorough examination of past utility bills. Your answers may help uncover some simple ways to reduce your household's energy consumption. Walk through your home with your auditor as we work, and ask questions. We'll use equipment to detect sources of energy loss, such as blower doors, duct blasters, infrared cameras, furnace efficiency meters, moisture meters, CO meters, and surface thermometers. It's important for you to understand some of what your auditor is doing in order for you to make the necessary upgrades.